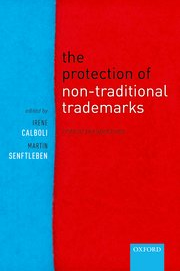 Texas A&M University School of Law Professor Irene Calboli's book, The Protection of Non-Traditional Trademarks: Critical Perspectives, was selected as IPKat's 2018 Best Trade Mark Book of the Year. "I am every excited. This book has just been published, literally two weeks ago," says Calboli. The work also features a chapter by Texas A&M University School of Law Professor Glynn Lunney. Launched in June 2003, IPKat covers copyright, patent, trade mark, info-tech, privacy and confidentiality issues from a mainly UK and European perspective. It serves as a teaching aid for intellectual property law students. The IPKat blog has become a popular source of "material, comment and amusement" for IP practitioners. Click here to learn more about Professor Calboli.